Prime Minister Benjamin Netanyahu is pulling out all the stops to convince voters that he is the man who can keep Israel great ahead of Tuesday's elections. 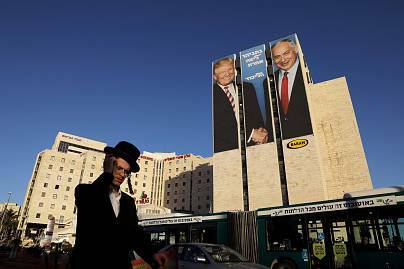 After a decade in power leading a series of right-wing governments, a vital part of Netanyahu's campaign sits 10,000 miles away in Washington: Donald Trump. "When I trained generations of commanders and fighters, you were taking acting lessons in a New York studio," said Gantz, a political novice who heads the centrist Blue and White party. He has also highlighted the scandals surrounding Netanyahu and accused his government of indulging "in the pleasures of power, corruption and hedonism." If Netanyahu wins, he will embark on his fourth consecutive and fifth overall term and become Israel's longest-serving prime minister, surpassing the country's founding father David Ben-Gurion. Trump has made a series of decisions that have endeared him to the prime minister, and many Israeli voters. The U.S.'s withdrawal from the nuclear agreementIran —which many Israelis see as an existential threat — was a coup for Netanyahu. Then came the decision to move the U.S. embassy to Jerusalem. And on March 21, Trump recognized Israel's annexation of the Golan Heights, which Israel captured from Syria in 1967. Trump's envoy to Israel, David Friedman, is popular among Israeli right-wing voters. He has written articles against a two-state solutionand given money to groups supporting Jewish settlements in the West Bank. On Feb. 28, Israel's attorney general recommended indicting Netanyahu on bribery, fraud and breachof trust in three different cases. Netanyahu has also been caught up in a scandal involving the $2 billion purchase of submarines from Germany's ThyssenKrupp. Although not a suspect, police have recommended that his personal attorney who is also his cousin be indicted on charges of bribery and money laundering. Taking a page out of Trump's playbook, Netanyahu has called the investigations a "witch hunt." 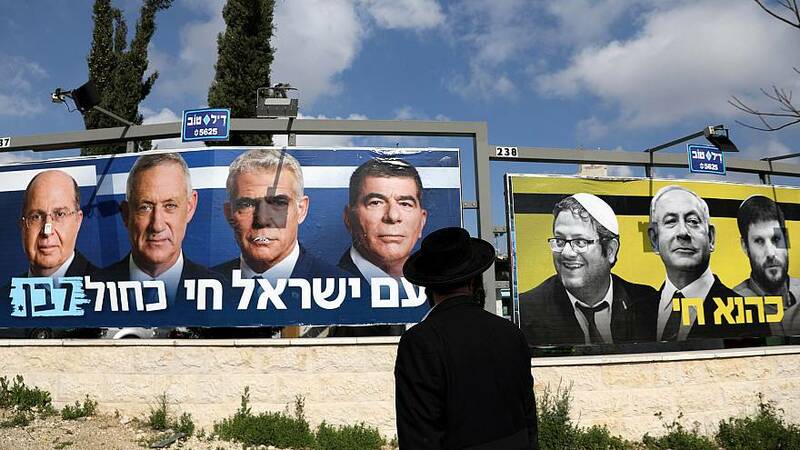 Netanyahu's coalition has included religious, far-right and marginal parties in the past. But a recent decision to forge an alliance with a fringe extremist party inspired by an American-born rabbi, Meir Kahane,who advocated a Jewish theocracy and the forced removal of Palestinians, raised the alarm even among some Netanyahu allies. July's passage of the "nation-state" lawdeclaring only Jews had the right of self-determination and stripping Arabic of its designation as an official language alongside Hebrew was also decried by critics who say it institutionalized discrimination. The prime minister, meanwhile, has targeted the "elite" and waged war on government institutions. 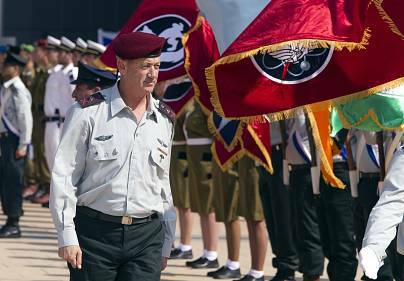 More recently Netanyahu has criticized Gantz for being a "leftist" and his campaign has warned that the former military chief would form a coalition with Arab parties. "Netanyahu's argument is taken from Trump's deep-state argument," according to Gayil Talshir, a political scientist professor at Hebrew University in Jerusalem. The message Netanyahu is sending his supporters is that the "left cannot defeat me through elections, so they try to oust me undemocratically through the police, courts and media," she said. Netanyahu's record of facing off threats on Israel's borders, including from Hezbollah militants in Lebanon and keeping Israel on the sidelines of the Syrian civil war, remain among his most popular achievements. He has also earned plaudits for taking the country into only one major conflict — with Hamas militants in the Gaza Strip in 2014. On March 27, a senior United Arab Emirates official told The National newspaperthat the "Arab decision not to have contact with Israel" was a "very, very wrong decision." Netanyahu, 69, has pursued leaders further afield. Case in point was Thursday's meeting with Russia's Vladimir Putin following Moscow's help in the return of remains of a U.S.-born Israeli soldier missing in Lebanon since 1982. Gantz, meanwhile, has said spoken of "separation" and released a campaign video touting his achievement in bombing Gaza back to the "Stone Age." "For Palestinians — whether citizens of Israel or living under undemocratic Israeli military rule in the West Bank and Gaza Strip — these elections are the equivalent of a choice between Trump and Trump," said Diana Buttu, a former adviser to Palestinian President Mahmoud Abbas and an Israeli citizen. "This election will likely result in an even more extreme, right-wing extreme government than the last — which was the most right-wing in Israel's history: an outcome that does not bode well for Palestinians, the region, or the world," she added.